The fabric is soft Tyvek with UV coat. 8 tieouts in the perimeter with PVC coated polyester ground fabric and grosgrain ribbon. 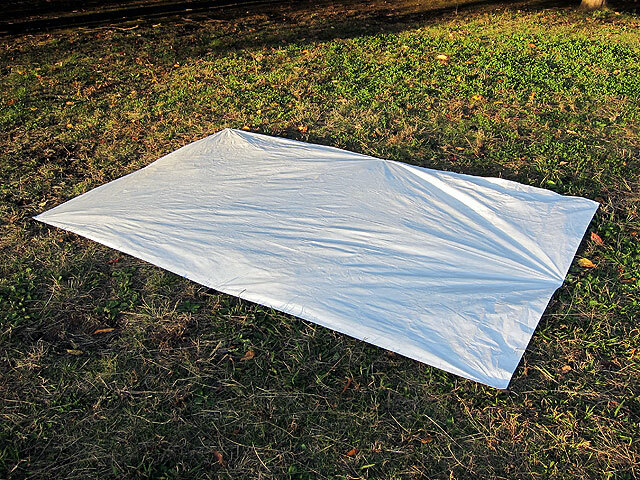 Suitable as a ground sheet for shelter, tarp and bivy. 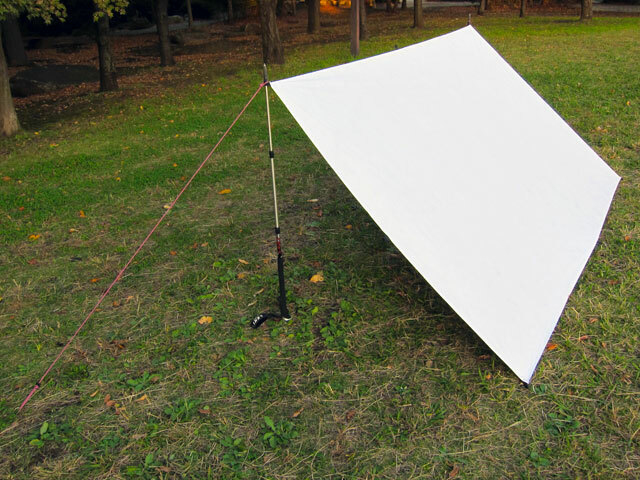 Also usable as a small tarp. *Guyline, poles and stakes are not included.